Year after year, there seems to be an increasing emphasis on the importance of using video for business. And here’s one big reason why: video content has the power to help you earn more in your business — without having to work more. The most basic example of this is simply how video can help you increase sales. People buy from people they know, like and trust. So if you’re getting in front of the camera and letting your personality shine, it’ll typically be easier to book clients/sell more since you’re continually building trust with your audience. But building trust with your audience is just one income-boosting benefit of sharing content on a video-based platform like YouTube. 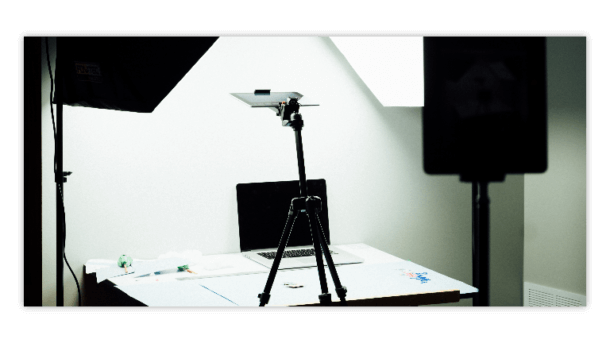 In today’s post, we’ll cover several additional ways you can effortlessly earn more in your business with effective video content. A quick note: While it’s completely possible to earn a full time income as a ‘YouTube star’ with ad revenue, ‘merch’, etc., that’s not my personal goal for using video in my business. That said, the tips I’ll share today are really for business owners looking to use video boost their income, in a way that complements their existing business model and marketing efforts. The idea of continually taking on new clients or raising prices seems like a daunting way to increase income — eventually you may ‘cap out’ on your prices. This is why I love finding ways to earn passive income with video content. And it’s possible to do this even without a) having a ton of subscribers or b) having to invest even more time and effort day-to-day. One way to earn passive income with video is with affiliates. An affiliate relationship involves referring your audience to companies/products via a referral code or affiliate link. Then you’ll earn a percentage/commission for sales made after someone used your code or clicks your link. Another way to continue earning without sacrificing more time is by using YouTube content to drive people to the first step in your sales funnel. Since YouTube content is evergreen — meaning YouTube search results can continue to generating traffic to your content, regardless of how often you upload videos — one video can theoretically grow your list of potential clients/customers for years. Generally, the first step in your funnel is downloading a freebie or subscribing to a newsletter — in other words, joining your email list. So I sometimes include a call-to-action at the end of my videos encouraging viewers to download one of my freebies. And since people who join your email list are likely somewhat interested in what your business offers, you can mention your services/products in follow up emails. This has the potential to increase sales right away, without you having to do additional work beyond setting up the email sequence. Plus, since your YouTube videos will continue showing up in search, you’ll be able to build your list automatically even if you need to take a break from creating content at some point! Relationships with sponsors are a little trickier. But if the circumstances are right, they can certainly help you earn more without having to do a lot of additional work beyond your normal video creation. Unlike an affiliate relationship, sponsored content typically involves a structured agreement between you and the company including what, and how, content should be created and shared with your viewers. Think of sponsored content as getting paid directly to create topic-specific videos that relate to a sponsor’s brand. If you’re curious to learn more about about how to earn with sponsored content, here’s a post you’ll definitely want to check out. Not all of us feel comfortable pitching ourselves, but making sure viewers know what you do and the services you offer can help boost sales. If you’re filming a vlog or a behind-the-scenes video, end your content with a quick pitch about how your services can help and how you can be reached. Basically, releasing video content helps you work smarter not harder. You’ll obviously continue to interact with those who already follow you, but YouTube is a great way to quickly connect with new viewers who search for your type of content. Now that you know a few ways you can make money on the platform, if you’re looking to get started on YouTube (or if you need some fresh ideas for your channel) be sure to grab my Free YouTube Cheat Sheet featuring 30 Video Ideas! Get weekly business tips in your inbox – starting with these video ideas!